Moving to South Africa - Compare International Movers & Save up to 70% ! By requesting and comparing quotes for your international move to South Africa, you can save yourself both time and money with Intlmovers. It is quick and easy to use, it won’t cost you anything but it will likely save you a lot! You can avoid the chasing around and find the right international moving company to help you with move to South Africa. Using Intlmovers is extremely easy. By using the simple drop down menu below, you just have to choose where you are moving from, and where you are moving to. Once you have clicked on ‘Find moving companies’ you will be presented with a list of international movers who are specialists in moves to South Africa. Take a couple of moments to complete some basic details about your move needs, and then you are finished! The international moving companies will contact you directly to arrange a quote that is specific to your moving needs. The service provided by Intlmovers is a handy and convenient way of getting a number of moving quotes simultaneously. That leaves you time to compare the available services and prices from the international moving companies at your leisure, and make a better informed decision for your moving needs. Better yet, using this quote comparison services does not cost you anything so there is no reason not to compare quotes to get the best value for your international moving budget. Complete the easy request form and receive quotes directly for international moves to South Africa. The international moving companies have years of experience with moves to South Africa. Every day, people from all over the world make the exciting international move to South Africa. It is a country that is rich in history, abundant in natural beauty and famous for its diverse cultures. Officially called the Republic of South Africa, it is located at the southern tip of the continent of Africa. South Africa has three governmental ‘power’ capitals: Cape Town (legislative capital), Bloemfontein (judiciary capital) and Pretoria (administrative capital). Johannesburg is the largest city in South Africa. The country covers an area of around 1.2 million square kilometers. South Africa has an estimated population of nearly 52 million people. South Africa’s extensive diversity and multi-ethnic origins have given the country 11 official languages. (South African) English and Afrikaans are widely spoken (even though English is only the fifth most widely spoken in the country), with the nine additional (Bantu) languages that include Southern Ndebele, Northern Sotho, Southern Sotho, Swazi, Tsonga, Tswana, Venda, Xhosa and Zulu. There is no visa requirements for South Africa for passport holders from the following countries who wish to stay for a maximum of 90 days. A visa allows you to proceed to a South African entry port, but if you wish to stay for a period longer than your visa allowance, you should make this known so that you can arrange to have your visa replaced by a temporary residence permit. This permit will regulate the length of time that you can stay in South Africa, as well as your reason for staying in the country. Relax and enjoy the professional and expert services offered by the companies that list with Intlmovers . These international moving companies are highly regarded in the world of shipping and logistics. They have extensive expertise in all types of relocations to help you experience a stress free move. 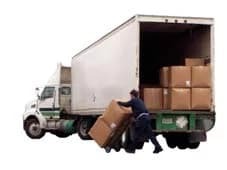 Feel confident that your goods are being well cared for and managed throughout the moving process. Whilst you can receive up to six international moving quotes with your request on Intlmovers, you are under no obligation to accept any of them. Take your time to review the responses that you receive, compare services and make sure that you are happy with the information that has been provided to you. When you use Intlmovers to compare quotes, it is both cost free and obligation free!